Self-catered apartments usually offer the cheapest packages for your holiday and are ideal if you’re looking to ski on a budget. The Augl'shof and Augl'shof II apartments can be found 3km away from Ischgl and its ski area in the quiet sector of Ebene, with the ski bus stop conveniently nearby for access to the main resort. 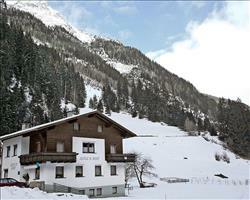 Whilst we don’t have any apartments in Ischgl centre at the moment, it’s well worth having a look at our hotels. They come in a variety of board options meaning meals can be included in the price, so you won’t have to worry about buying and cooking food while you’re there. You still have the freedom to make the most of the nightlife- many properties have lively bars and restaurants on-site. You could also have a look at our centrally located chalets which are catered and, like apartments, offer a home-away-from-home where you can relax in your own cosy lounge area. Browse through our package deals to find the best option for you or phone our helpful ski experts who can guide you on your way to the mountains.